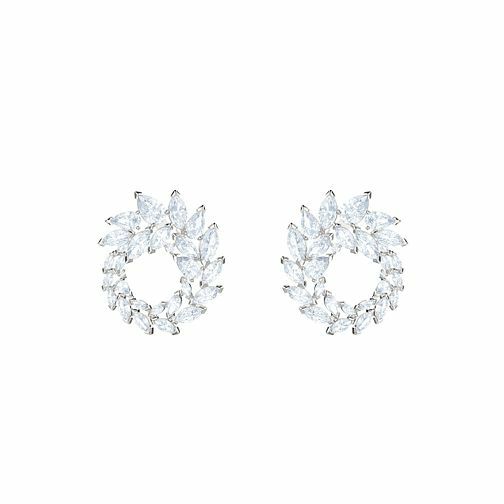 Swarovski presents this beautiful Ladies' Rhodium Plated Louison stud earrings. Inspired by fine jewellery and frosty winter leaves, showcases a shimmering swirl of leaf-shaped elements on a rhodium-plated chain. This classic piece exudes refined elegance.